Pull out that air fryer. 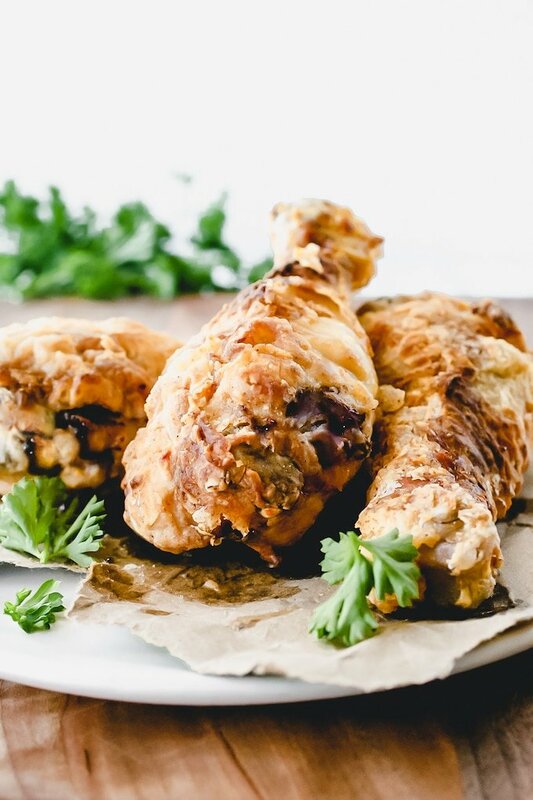 We’re making Air Fryer Fried Chicken for dinner – and we still get all the crispy goodness. Score! Everyone loves fried chicken, but the mess and the oil often leave us wondering if it’s worth it. 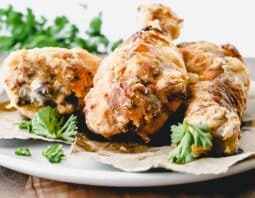 It’s a tough call, but when you’re craving our Classic Fried Chicken without the mess, or don’t feel like heating up the house to make Oven Fried Chicken, you’ve got to try this Air Fryer Fried Chicken. It’s the perfect solution. The chicken cooks up quickly and there’s no oil splatter. Just make sure you eat the chicken nice and hot while it’s still crispy, or learn how to reheat fried chicken perfectly over here! Use cornstarch. Cornstarch mixed with the flour helps give your chicken a crispy crust. Don’t crowd the air fryer. This is a key piece of advice for the air fryer. Without space, the chicken won’t cook properly and it won’t get crispy. Cover the air fryer basket with foil before heating then put the chicken on the foil. This is to make it easier to get the chicken out and so the crispy crust doesn’t get stuck behind on the air fryer basket. Spray chicken with cooking spray. Because the air fryer doesn’t actually use any oil, if you don’t coat the chicken with an oil mister or cooking spray, there will be dry flour spots, which is not ideal. Even when you give the chicken pieces a good coating of oil, you’ll still be using far less than traditional frying. Combine chicken and buttermilk together in a bowl. Refrigerate for at least four hours, or up to 24 hours. Take chicken out at least a half hour before cooking. Whisk together flour, corn starch, cayenne pepper and 1 teaspoon of the salt in another large bowl. Dredge chicken through flour mixture. Repeat with all pieces of chicken. Meanwhile, line air fryer basket with foil and preheat air fryer for a few minutes. Spray chicken pieces with oil mister or cooking spray. Remove chicken and let rest on a wire drying rack. Sprinkle with salt.